Kentucky River. City of Ford. Asher Ln, Ford Boonesborough Rd, 4 Mile Rd, Phelps Rd, and Ford Rd. Some property owned by Norman Baldwin, Rebecca McQueen, Nellie Arnold, A.C. Collins, J.M. Pigg, R.E. Pigg, and Husley Shearer & Minnie Green. 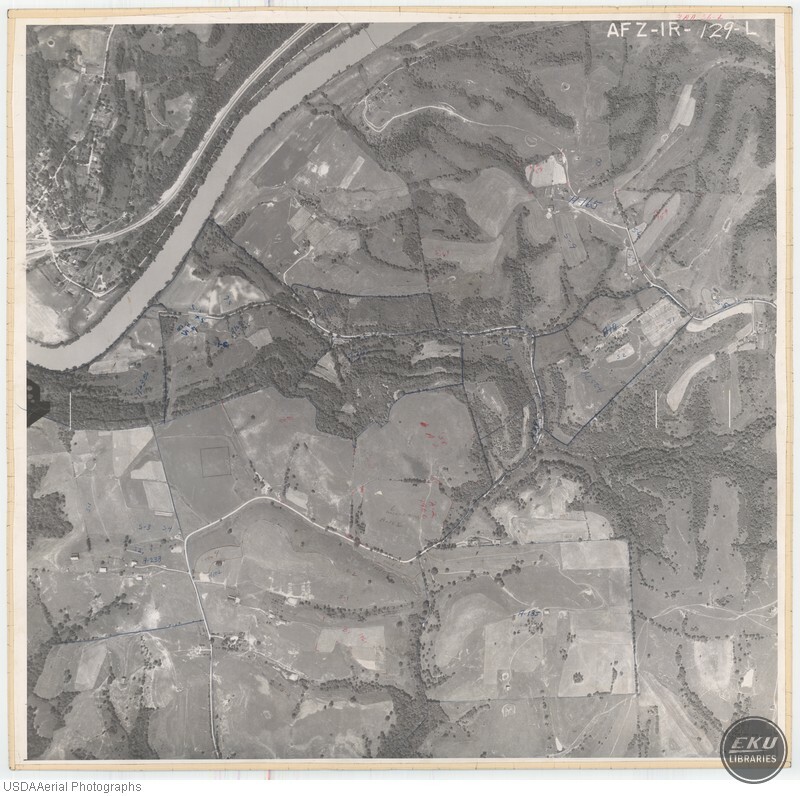 USDA, “North Edge of Madison County,” Digital Collections, accessed April 19, 2019, https://digitalcollections.eku.edu/items/show/794.